S&T Taranaki are on the Move! 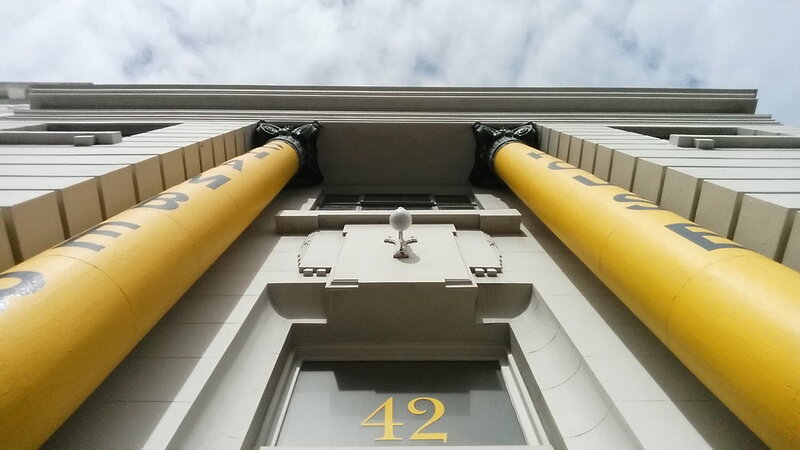 After 3½ years at the Manifold Space on Devon Street, our New Plymouth Office is moving! Headed by S&T Registered Architect Daryl Austin, our new home will be located just up the road on the first floor of Chamber House’ at 42 Egmont Street, above the Taranaki Chamber of Commerce. Built in the early 1900’s for the State Fire Insurance Company, 42 Egmont Street is well known for its distractive two full-height composite Ionic-Corinthian columns with bronze entablature and pedestals that support a plain moulded cornice and framing the central door. Delicate Classical detailing enhances the door opening and the central raised parapet, and special internal features are the stairwell with cast iron balusters and newels and marble dado. S&T Taranaki will officially be operating from Chamber House from Monday 12th November, please feel free to call in for a catch-up and a coffee!